Officially Licensed Collegiate Sunglasses!! 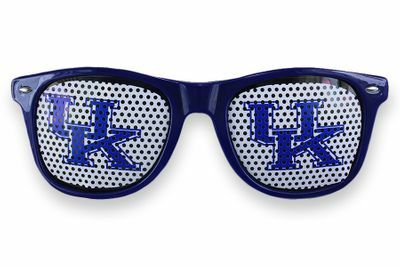 Stylish Blue Durable Plastic Framed Sunglasses With Silver Tone Accents Display The University Of Kentucky Logo On Both Fully Tinted Lenses Via See-Through Decals. Show Off Your Team Spirit With These Fun Shades! Yours For Just $7.35 EACH!